We tried to give these to people who cycle or walk to school! These can be used for PE, Swimming, Lunch bags! These make sure that we can be seen when travelling to school! 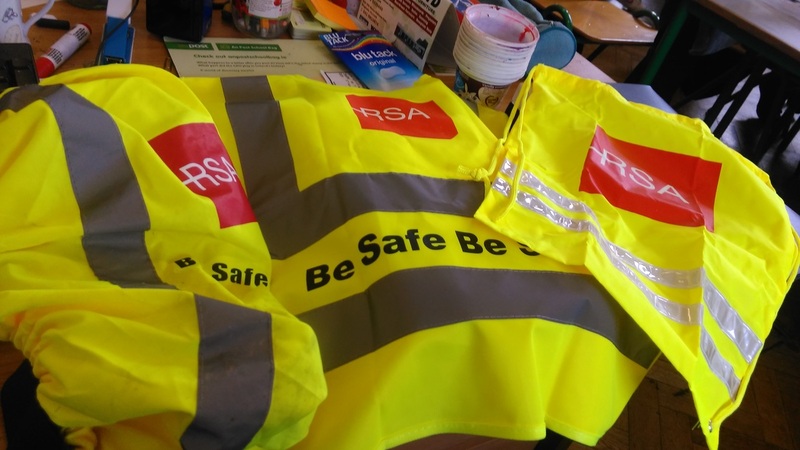 Thanks so much to the RSA for making sure that we'll be seen when we're travelling to school! These vests will make sure our parents can be seen too!